A Star Child is a unique living person who is unlike the majority of us, but who has special perceptive abilities. This metaphysical concept of a Star Child is sometimes also called a Star Seed or an Old Soul. 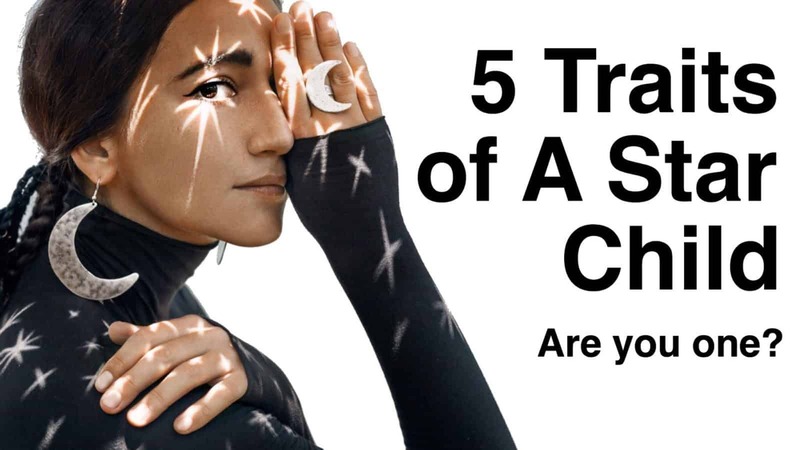 If you think you could possibly be a Star Child, read about these 5 common traits that these highly aware individuals share. 1. A Star Child is empathic and aware. are sensitive to body language, facial expressions, and tone of voice that reveal more than words do. 2. A Star Child demonstrates wisdom beyond their years. At a young age, people may have thought you were a genius due to the large concepts that you could easily understand. This is a common trait for Star Children because they have likely incarnated as a living being before this life. They understand things beyond their physical form and the limits of Earth. Feeling that you have more in common with fantasy creatures in fictional stories than you do with human beings is a common trait for Star Children. A Star Child may feel unaccepted by others because of their unusual thoughts and behavior. A Star Child is often a person who finds spiritual inspiration in the stories of aliens, vampire stories, and science fiction novels. Researchers studying people involved in alternative spiritualities find that as people are selective about spirituality, they create new myths. A belief in Star Children can be seen as an alternative spirituality since this concept is not common in traditional religious paths. The concept of reincarnation is something a Star Child has familiarity with and they may feel like they have lived several previous lives. Research Psychiatrist Ian Stevenson from the University of Virginia, investigated reports of Star Children who claimed to remember past lives. In over 2500 case studies, Stevenson documented each child’s statements and then identified the deceased person the child had memories of being in a past life. In each case, he was able to verify facts about the deceased person’s life that matched what the Star Child reported. 5. A Star Child finds love everywhere. In a world filled with unhappiness and frustrations, a Star Child is often calm, smiling, and the first to hug a stranger. Unconditional love is all around for the Star Child, because they can see beyond the negative emotions that people outwardly display when hurt. A Star Child commonly uses their loving nature to help heal others around them. They have a high degree of emotional intelligence and they spread positive emotions to those who are being outwardly negative. As a result of the unconditional love they give to others, a Star Child receives unconditional love returned back to them from all of those that they help.